Dark-pop artist Zosia has just unveiled her highly anticipated single Overthrown, a stunningly poignant product of her frustration with society’s treatment of sexual assault victims. Here Zosia details her own struggle of battling shame and issues of self worth after being a victim of sexual assault. A powerful song with haunting melodies! Stream it below! Overthrown perfectly articulates the songwriter's pent-up thoughts and emotions through layered vocals, honest lyricism and ethereal synths. 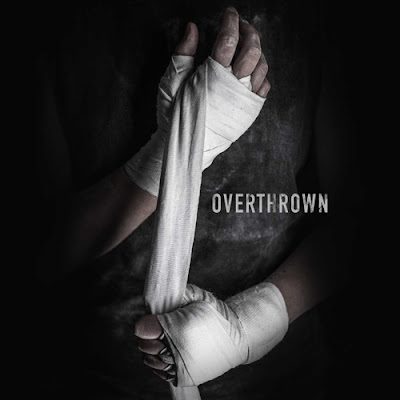 Overthrown was written to encourage others to change their perception of victims, to help each other heal and understand that abuse doesn’t have to be a permanent scar or lifelong struggle. Zosia has succeeded in composing a beautifully raw anthem that embodies the range of emotions that so many women deal with on a daily basis. As a victim myself, I have spent my life battling shame and issues of self worth. I was depressed and angry for ever other victim who has faced and will face this sort of dismissal of their pain. We don't have to be either vulnerable or strong; vulnerability is just another form of strength. Zosia is many things. She is a singer, producer and songwriter. She is a dark-pop lyricist inspired by the philosophies of Isaac Asimov and Pythagoras. She is the spirit of her grandmother also named Zosia, a seamstress who fled Poland during World War II for a better life. Los Angeles based Zosia (born Anneke Lada) began writing songs at the age of nine. As she matured into her teens and early twenties, she began honing in her own philosophy, one that reflected her growing need to create a sense of meaning.